Why you need to separate the business development team from the sales team? Business development is the set of activities carried out within an organization to expand its reach into a new market(s) or increase the organization’s reach, profitability and market share within the market(s) it operates. This includes, but is not limited to, increasing revenues, growth in terms of business expansion, increasing profitability by building strategic partnerships, and making strategic business decisions. 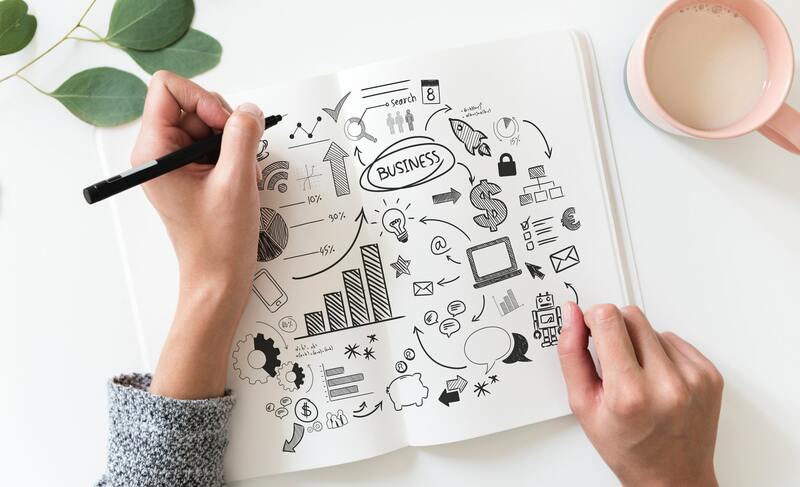 Business development activities extend across different departments, including sales, marketing, project management, product management and vendor management. networking, negotiations, partnerships, and cost-savings. These different departments and processes, while different in their nature, activities, and the personnel responsible for them, are carried out with the ultimate goal of growing your business by expanding its operational reach and, as a result, profitability. What is the difference between marketing, sales, and business development? 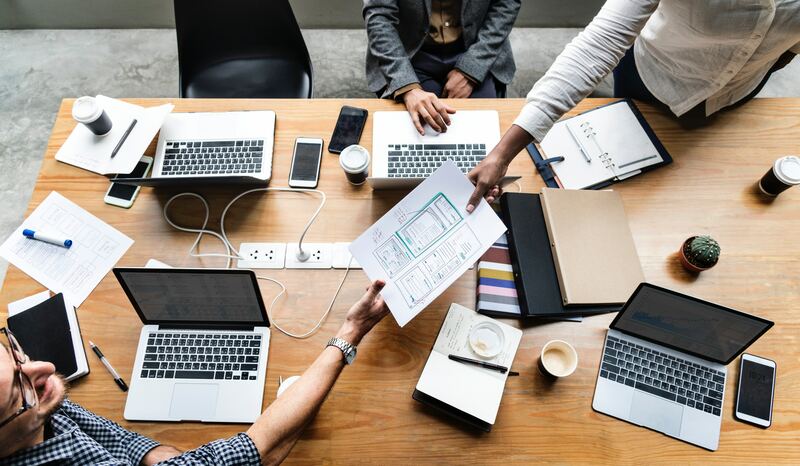 While its definition may seem the same as that of the standard marketing and sales processes at first glance, marketing and sales should not be considered the exact same thing as business development. Instead, think of them as complementary processes that co-exist and co-function with the ultimate goal of growing your business. However, they achieve this end in quite different ways. The difference between marketing and business development is the easiest to identify. In a nutshell, marketing is the process of identifying the unique selling points (USPs) in your products and services compared to your competitors, then creating a brand positioning and messaging tailor-made for both your brand and the buyer personas it is targeting. This includes strategies such as traditional and digital advertising, content creation, and public relations. Marketing involves all the activities that take your target consumers throughout their buyers’ journey- from strangers to promoters; ones who spread the word about your products and/or services to attract even more strangers to become promoters! In short, marketing is all the activities you carry out in order to generate leads for your business. This is where you can get the feeling that there is a bit of an overlap between the activities associates with the two functions of your business. To identify the difference, we need to take a closer look at the typical responsibilities of the business development team and the sales team. Business development personnel are primarily responsible for the prospecting side of the business. They are the ones who carry out the market research with the purpose of finding as much as possible about a lead’s company, pain points, and need for a solution as well as qualifying the ideal leads before passing them out to the sales team for closing them as customers. The main challenge of a business development executive is bringing in enough qualified leads so that the business’ goals and objectives can be achieved. The sales personnel’s main responsibility is closing the qualified leads passed on by the business development team. After receiving the qualified leads from the business development executives, the sales executives carry out tasks such as product demonstrations, product trials, price breakdowns, and contract terms, all with the goal of further confirming that the company’s products and services will indeed help solve the pains of the leads. Oftentimes the sales process might not be as straightforward as this- where the sales executives would have to carry out further qualifications according to the sales department’s internal rules guidelines, but their number one objective is turning as many qualified leads as possible into customers. Why separate the business development team from the sales team? At first glance, it might seem more efficient to combine the prospecting and closing teams into one team- as their work compliments each other's. However, in today’s overcrowded world, where the average consumer is exposed to over 5,000 advertising messages per day, and the rapidly growing use of ad blockers, particularly among millennials, reaching your ideal customers is no longer the straightforward task it used to be. 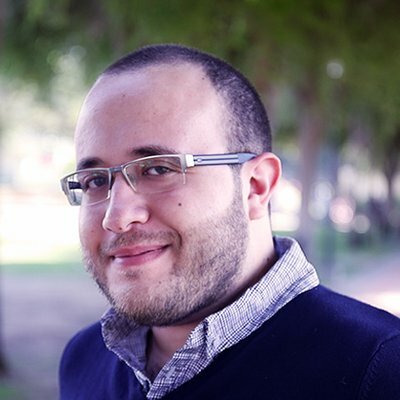 The increasing difficulty in reaching customers, and their continuously growing lack of trust in brands’ marketing and advertising messages, requires not only further market research, but also closer communication with the lead to connect- turning it from a stranger to a qualified lead that actually has the potential of being closed. This has caused a split of the sales cycle into two specialised departments; prospecting and closing, each with a different area of responsibility. Separating prospecting from closing enables each team to focus all of their energy on one task, instead of dividing their time between two different and extremely time-consuming tasks. The degree of separation between business development and sales will vary from organization to organization, however. In some smaller companies, the sales team might be responsible for both the prospecting and closing operations, and while that can be functional, specially at the beginning of a business development and growth process, splitting and clearly defining the roles of the business development and sales teams will empower each to tackle the business growth much more efficiently, particularly as the size of your business sand the volume of your customers and operations grow. With that in mind, particularly how overcrowded the market is, how often consumers are bombarded with promoted messages, and as a result the difficulty associated with finding qualified leads, the need for integrating inbound marketing into your business strategy becomes all the more needed. Inbound marketing is a type of marketing focused on attracting customers through adding value at every stage in their purchasing decision process. Unlike other types of marketing, where brands compete for their consumers’ attention, inbound marketing relies more on consumers finding you! Content creation and distribution is the backbone of inbound marketing. Through the development of engaging content that is addressing the problems, challenges, needs and wants of the ideal customers of your business (your buyer personas), ­­you not only generate leads for your products and services, you also build trust, credibility, and thought leadership for your business. To further understand how to integrate inbound marketing into your business development activities, we need to take a closer look at the inbound methodology. 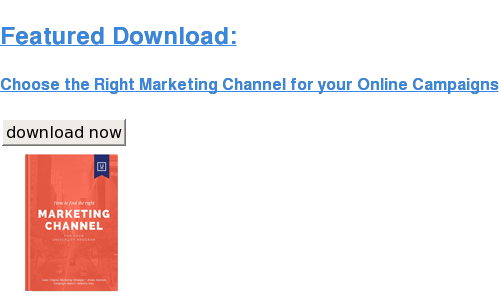 Specifically, where your ideal customers are within the marketing funnel, and how to take them throughout the different stages from strangers to promoters of your products and services. You don’t want just anyone coming to your site. You want people who are most likely to become leads, and, ultimately, happy customers. How do you get them? You attract more of the right customers with relevant content at the right time – when they’re looking for it. 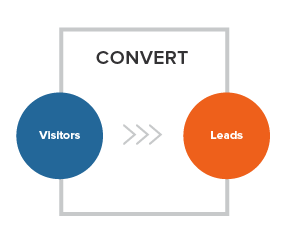 Once you’ve attracted website visitors, the next step is to convert those visitors into leads. You do this by opening up a conversation in whatever way works best for them – with messages, forms, or meetings. Once you’re in touch, you answer questions and provide relevant content that is interesting and valuable to each of your personas – and continues the conversation. You’re on the right track. 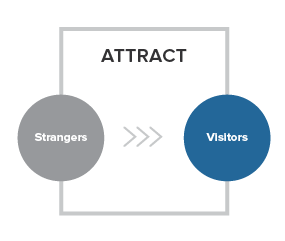 You’ve attracted the right visitors and converted the right leads, but now you need to transform those leads into customers. How can you most effectively do this? The sales tools available at this stage to make sure you’re closing the right leads at the right time, faster and easier. 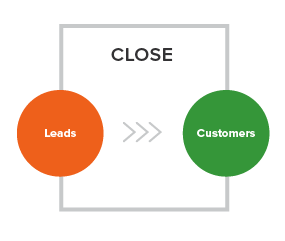 The inbound way is all about providing a remarkable experience for your customers. Plus, they have much higher expectations of your business and how they’re treated than ever before. 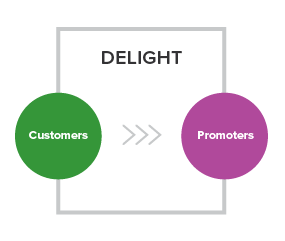 So, it’s even more important to engage with, delight, and make your customers successful. If you do, they will buy more, stay with you longer, refer their friends, and be happy to tell the world they love you. How do business development and inbound marketing fit together? As you might have guessed by now, one of the main reasons inbound marketing has been successful compared to the other types of marketing is that it has empowered brand marketers to humanise the marketing process more than it ever has before. For starters, no longer are companies broadcasting their various advertising messages to the world and hoping that one might stick. Inbound requires businesses to develop detailed descriptions of their ideal target consumers, known as the buyer personas. This is a critical first step to developing content that is not only targeted to those consumers, but is also relevant to their pains. This content empowers business development executives to take their prospects through the marketing funnel with unprecedented ease, which in turns empowers the sales executives to approach those prospects at the exact moment they are ready and willing to become your customers. A buyer persona is a semi- fictional, generalized representations of your ideal customers. Buyer personas help you gain a clear understanding of your customers as well as their pains, which in turn enables you to create different types of quality content that will not only resonate with them, but also effortlessly take them through your inbound marketing funnel. To create your buyer persona(s), you need to conduct thorough interviews and/or surveys with your target audience. This includes both your existing customers and prospects. The main purpose of this research is not only finding the basic demographic data of your personas, you should always conduct your buyer persona with the purpose of gaining a deep understanding of your potential customers goals, behaviours and motivations. Once you have clearly defined your ideal buyers, the next step is tailoring your messaging to be in a “language your buyer personas will understand”! All of your content, no matter in which format it is, must be created with the goal of being relevant to your prospects at the phase of the buyer’s journey they are at in order to move them down to the closing stage of the funnel. Providing value must always be your number one priority in whatever content you create. In order to be truly efficient in your business development strategy and generate the quality leads for your team, you need to let go of the purely branded promotional content and start developing content that will establish you as an authority within your market. Now that you have (hopefully!) created the right type of content for your buyer personas, you need to start distributing it. This is where lead nurturing comes in play. Lead nurturing is the process of engaging a defined target group by providing the relevant content to them at the relevant stage of the buyer’s journey. If you are just getting started with inbound business development, chances are you will not be getting it right the first time! However, looking at the data behind your selling process will always be the best way to judge what is working in your business development strategy and which elements need to be adjusted. 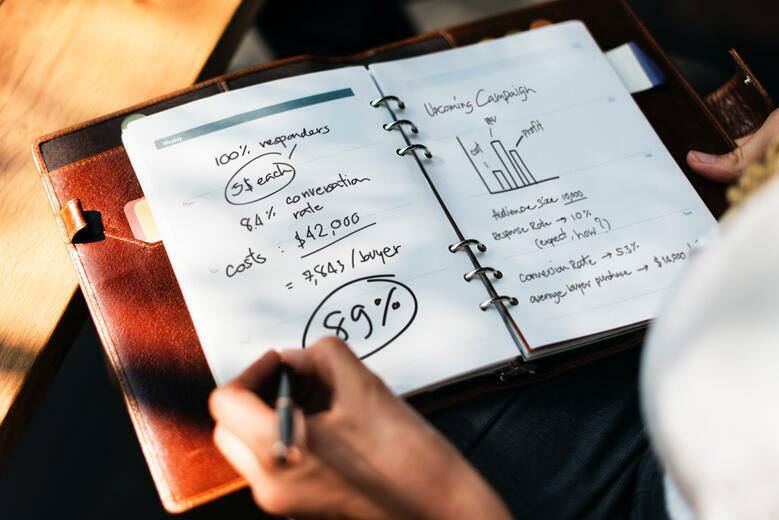 Always keep track of all of the elements involved in your sales process, this includes clear cut key performance indicators such as emails’ clickthrough rates and website’s bounce rates as well user consumption behaviour elements such as the time spent looking for prospects or how long an average sale takes. Tracking these metrics will enable you to get a better understanding of the performance of your process and make informed decisions about the elements that need to be tweaked. While the core of inbound business development is creating content that will attract, convert, close, and delight your consumers, you need to keep in mind that it is quality content that educates and entertains is what converts your buyer personas into paying customers. Take your time and create valuable content that people will want to consumer, come back to, and share with their family and friends. In addition to that, understand that you cannot create content that will be relevant to everyone. Segment your audience and create content that will be relevant to the segments you are targeting. The goal is to attract qualified buyers to your content, not to attract a broad segment of people that may or may not be able to help your business. Providing value for your buyer personas is at the heart of inbound. You need to shift your thinking from creating brand messaging that is only aimed at selling and promoting your products and services and more about supporting your customers in solving their pains beyond limiting it to handling customer complaints. If your customers feel that you are helping them become more successful, they are more likely to convert from lurking strangers to loyal customers, ones that will be glad to recommend your company to their networks. Unlike the other types of marketing, inbound focuses on bringing your ideal customers to your business as opposed to chasing them. Gone are the days of cold-calling and going door to door! Within an inbound business development strategy, your prospecting is driven by your content marketing efforts. You need to shift your prospecting approach to a more helpful way that lets people consume your message on their own terms, at their own times. The perfect example of this is email marketing. Instead of waiting for people to find your content organically, you can shoot a short email to your segmented lists that illustrates how a specific piece of content is relevant to them then link said content in the email, and, If you are using a marketing automation tool, you will be able to track your results to see if you are targeting the right people in the first place and be able to tell how well your messages resonate with them, then optimize your approach accordingly. 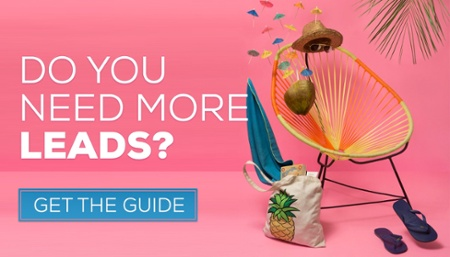 While a consistent content marketing strategy is key to build your brand authority, using paid advertising could be useful for getting traffic to your content and support you in building your organic traffic at a faster pace. With that being said, you need to be careful that you are targeting exactly the right people. Make sure that you are choosing the most relevant keywords and audiences for your media buying. Start your digital advertising activities with small budgets and continuously optimise, and as you build your organic audience, you will see that you can decrease your reliance on paid media. Business development and sales are two different activities, and while combining them in one department might seem like it makes sense, assigning prospecting and closing to two different teams enables each team to focus all of their energy on one task. We put together an Ultimate Guide on Lead Generation. It's got the 30 greatest tips, tricks and ideas on how to generate leads from your website and digital properties. Click on the button below to download your free copy.